The squatters of Lower Grangegorman will resist eviction in six week’s time. A High Court injunction granted last week will be sustained until May 4th, but residents have called the site their home. Stephen Bedford was one of the three residents representing themselves in the High Court last week. Although the date for the trial was Thursday 26th, Justice Paul Gilligan gave them 24 hours to seek legal advice. The ‘project’ is a vast lot that has been converted into a home for about 30 people. It holds three residential houses with running water, five warehouses and a large yard. 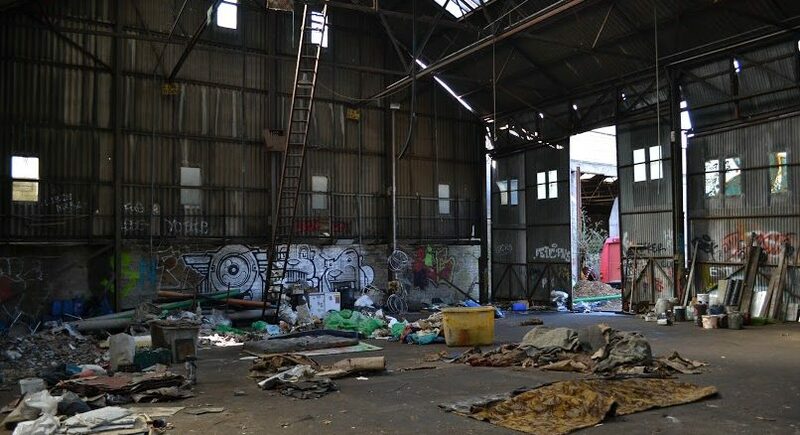 The warehouses are scattered with artwork, furniture and clothes. The place is partly heated by a process called biomass heating. This involves burning trees in a small contained space, and the resulting steam is carried in tubes. The site was occupied in August 2013 and the residents claim that their presence has benefitted the community. 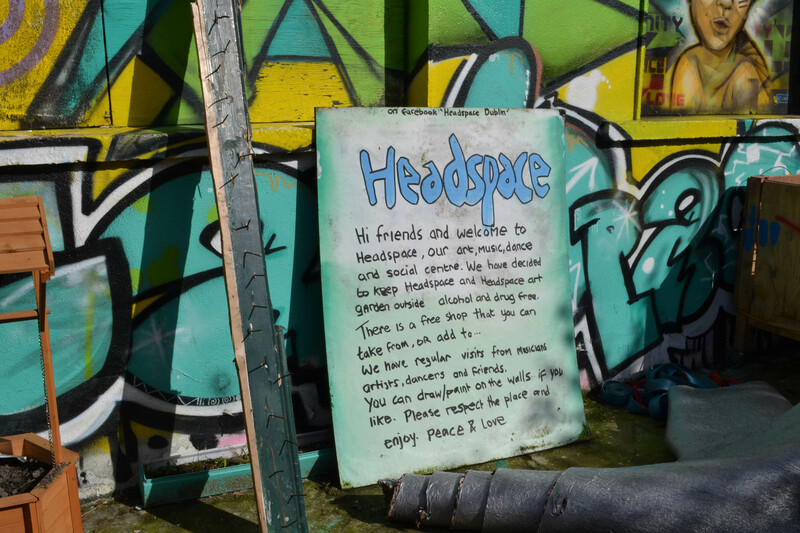 Some of their work includes: ‘Words in Warehouse’, a semi-regular, spoken-word, music and poetry night in the warehouse; Headspace, an art and music studio as well as a drug free area, with a juggling and circus practice space. However, they claim there is a more serious undertone to preserving the site. In a statement released following an eviction attempt by NAMA, the squatters state that their occupation is an answer to the housing crisis, which has seen rent rise by 16 per cent this year. “When we came here, our priority was to get a house, not a huge space. Our priority was to get a home and a roof over our heads,” said one of the founders, Julie. Speaking with a French lilt, Julie is adamant that the state won’t provide for them: “We’re in the middle of a housing crisis. You can’t get rid of the problem by just evicting squatters or any other homeless people and just think that they’re gonna disappear”. The inner-city Northside space lies five minutes from Smithfield luas stop. According to the young lads in tracksuits who were helping the squatters clean on Wednesday, it used to be a site for drug use. The property is under the receivership of Luke Charleton of the accountancy firm Ernst and Young. Charleton now manages the site following Pascal Conroy’s debt of €21 million arising from AIB loans. Charleton’s agents initiated the High Court case to evict about 30 people from the site. His employment of LAS Security group led to the violent eviction attempt two weeks ago. Although LAS men drilled external gates during the attempted eviction, the residents have reinforced them to keep security out. Bobby, a former squatter who now rents an apartment, has thrown his support to his friends. Sitting with Julie in her bedroom, he explains why Gardai should not have assisted. The residents and security found themselves in a Mexican stand-off as security vans could not get past protestors. They eventually had to leave the premise as the squatters negotiated with the crowds to disperse. “They ran over my foot but it’s wrapped up and it’s not too bad,” he said as he demonstrated how to juggle with cabbages. Online reactions to the occupation have been mixed, with many people condemning the squatters for not paying rent. However, there has also been condemnation to the awry property developers involved. In a letter to ‘The Occupants’, dated the day of eviction, Charleton ordered the occupants to vacate No. 7 and No. 8 Grangegorman or he would issue the court order. The letter also states that 8A Lower Grangegorman would soon become the property of Kynman Developments Limited, which would also employ LAS. Kynman’s director is Antoin Conroy, brother of the indebted Pascal. A local lad stops by to chat, and asks Bobby if there’s E to score. “We’re trying to keep drugs out”, he replies.